We love him for his dad jokes, socks with sandals and for always having our back. Show him how much you care this weekend by treating him to something you’ll both enjoy! From an afternoon at the ballpark or an evening at the steakhouse, spend some time doing things that dad loves to do. Keep scrolling to see three outfits to wear this Father’s Day! 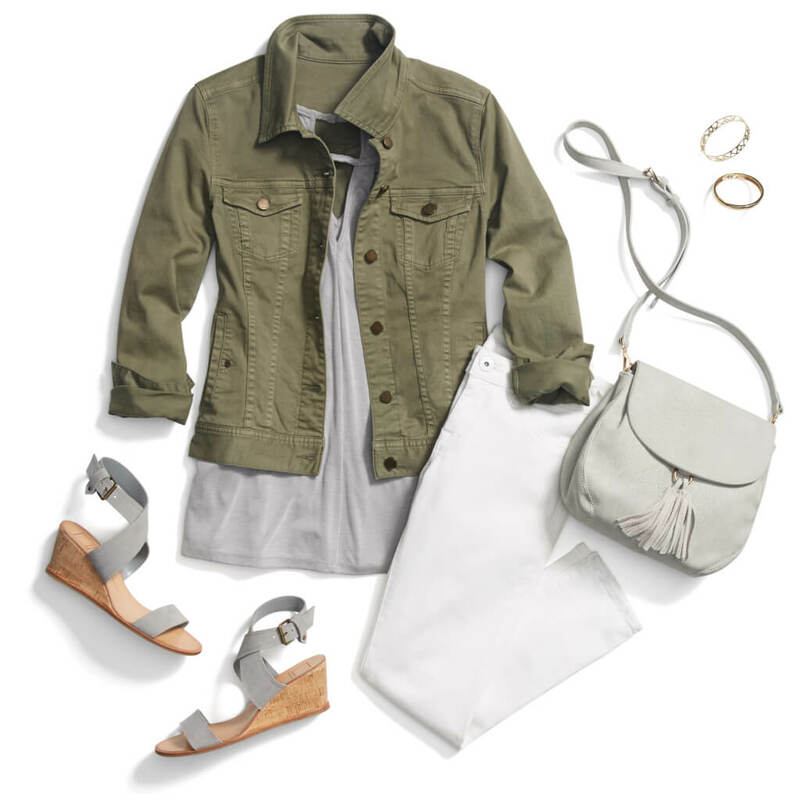 From a pale ale to pale grey, this versatile hue is an easy way to lighten up your summer neutrals game. Since you’ll most likely be on your feet, opt for comfy wedge sandals and breathable fabrics like denim. Complete your look with a backpack or crossbody bag that’ll keep your hands free for pints & pretzels. Hit it out of the park in classic summer staples. Try a pair of slip-on sneakers for a sporty, yet fashion-forward vibe. 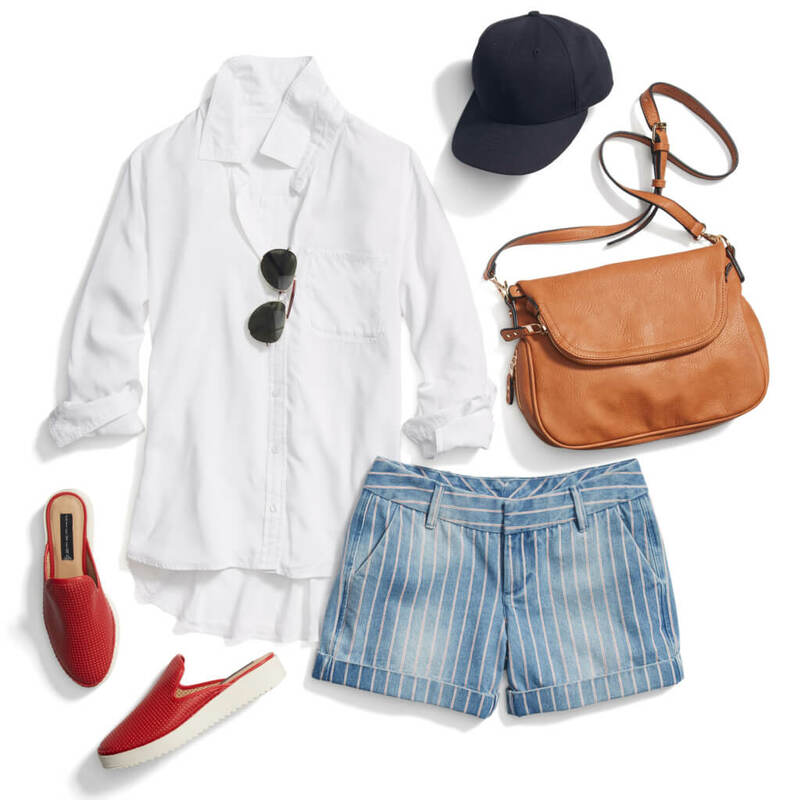 A light layer with sleeves—like a crisp cotton shirt—will protect your skin from the sun. Don’t forget to pack the home team’s hat so you and dad can match! Stylist Tip: Wear a tank or T-shirt under your button-up so can easily take it off when the temps begin to rise. Tie it around your waist for a cool-girl look. We’re not keen on well-done, unless we’re talking about an outfit! A trapeze style dress is not only warm-weather appropriate, it’s comfy and forgiving—perfect for eating a large meal with dad. Balance the billowiness of the silhouette with platform sandals and bare shoulders. No need to over accessorize, let the dress speak for itself. 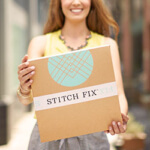 Did you know we’re launching Stitch Fix Men this fall? Now he can be as stylish as you. Put dad on the waitlist!